This is the start of either a very long article, or more likely, a series of articles, covering the restoration of a Commodore Pet. Last year, I dug out the case from a Commodore Pet 4032, with the intention of finding something interesting to put in it, since I didn't have the original main board or power supply. 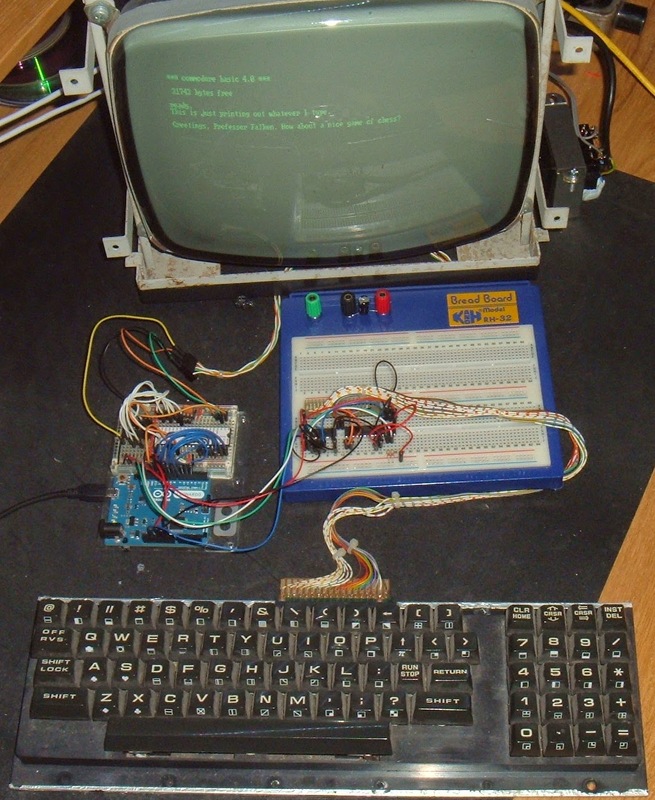 I did look at various options, and managed to drive the keyboard and screen from a microcontroller, and for a while, it ran with a Z80 CP/M system inside. However, the real goal was always to get it back to being a Commodore Pet. That is going to be a little tricky, as it is currently an empty case. So in an effort to get missing parts such as power supply, motherboard etc. I took a punt on a rusty broken Commodore Pet 8032-SK on ebay. This was missing the keyboard, and the metalwork was rusty. But what I needed was the power supply and the mainboard, and hopefully I'd be able to fix that. 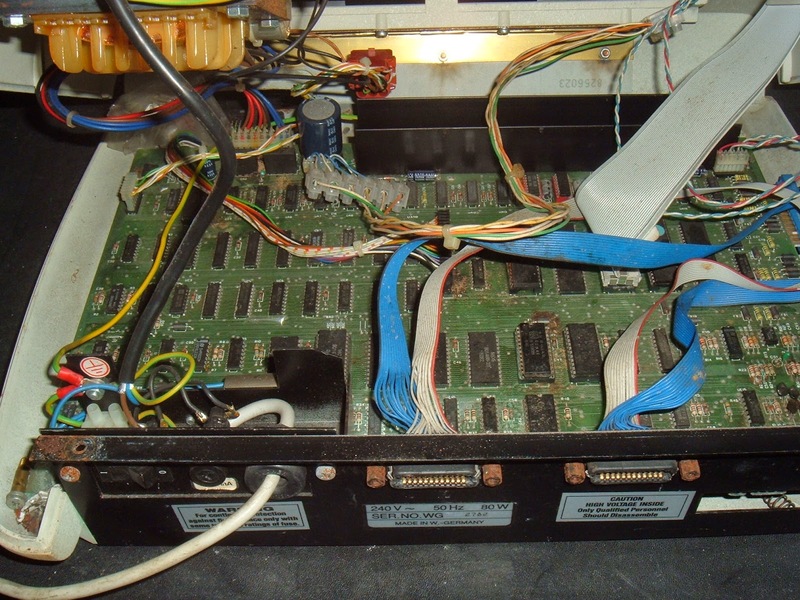 The 8032-SK was a recased version of the original 8032, SK standing for Separate Keyboard, the keyboard being a massive external unit with a big curly cord. In this case, I don't have that, so it's NK, No Keyboard. As a bonus, inside I found a 64K memory expansion, so this had been an 8096-SK. 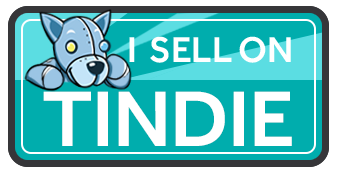 I'll leave that for the moment as it just complicates things. It needs extra software to work, and that comes on disk. I don't have the disks. I also don't have a suitable disk drive (although I have an 8250 in a similar state). Also, it's full of 4116's, and I'd be surprised if they all worked. Oh, and one of them is cracked, exposing the silicon die inside, I bet that one doesn't work. 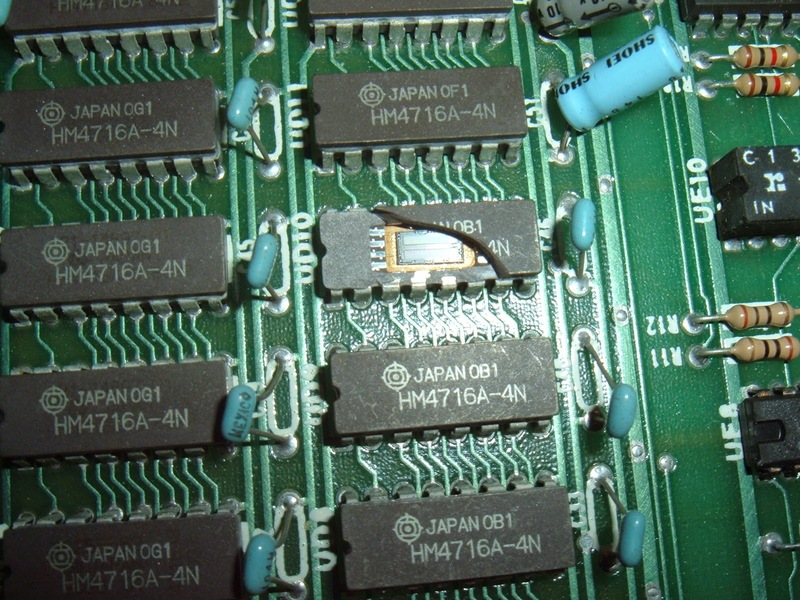 Let's rule out the memory card for the moment, and concentrate on the main board. When removed from the case, the board was intact, but in need of a good clean. 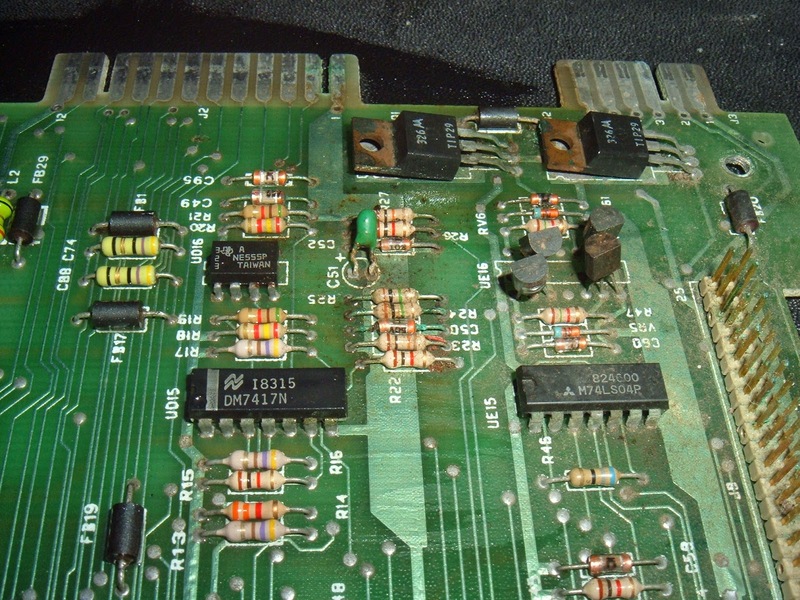 Some of the chips had corroded badly, although most cleaned up ok. 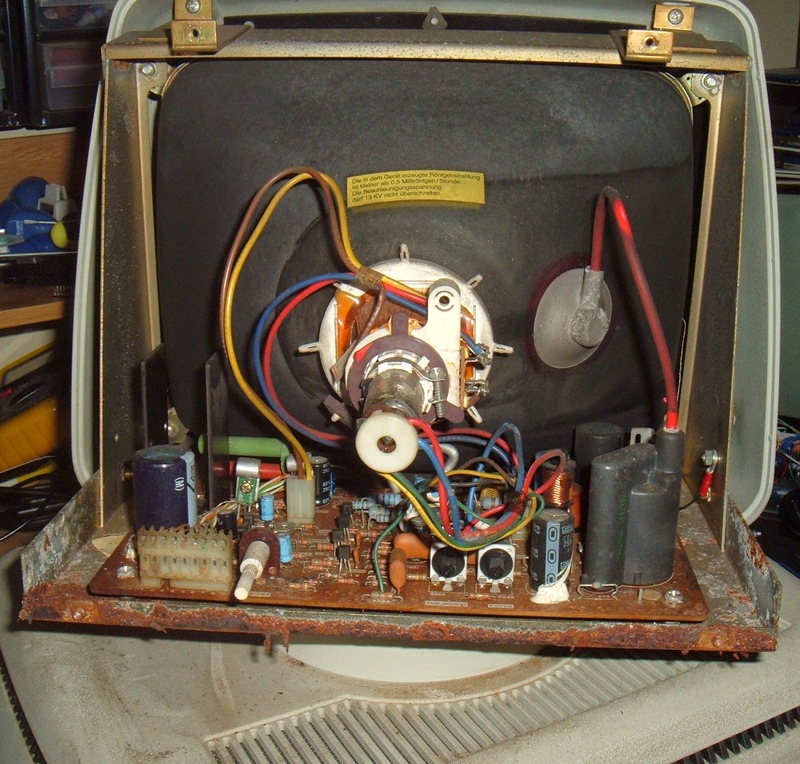 There had been a previous repair, replacing two of the 4116 DRAMs with two unmatched chips and strange red DIL sockets, the contacts of which had corroded badly inside. There were also some corrosion to the other 4116s. 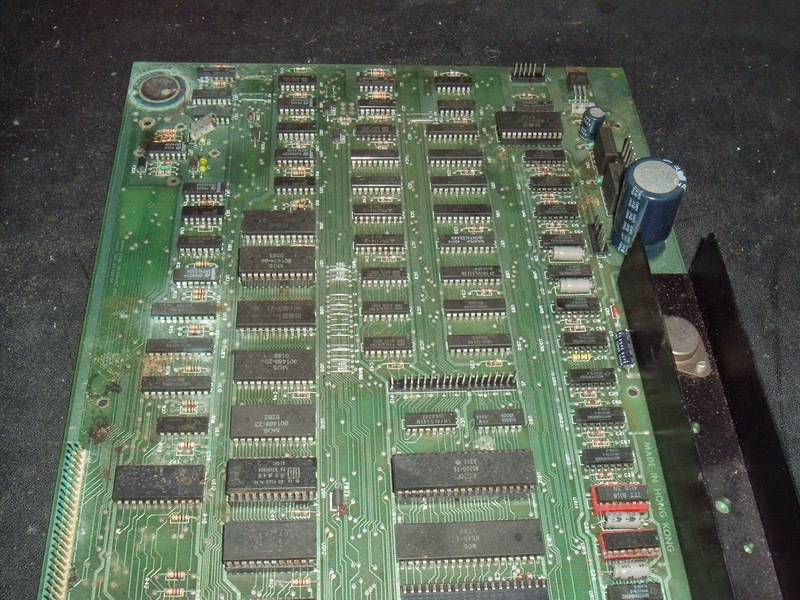 I removed and socketed the ROMs and the 40 pin ICs, so they could be cleaned and tested. The RAM was a bit more corroded, and there was damage to some of the tracks. 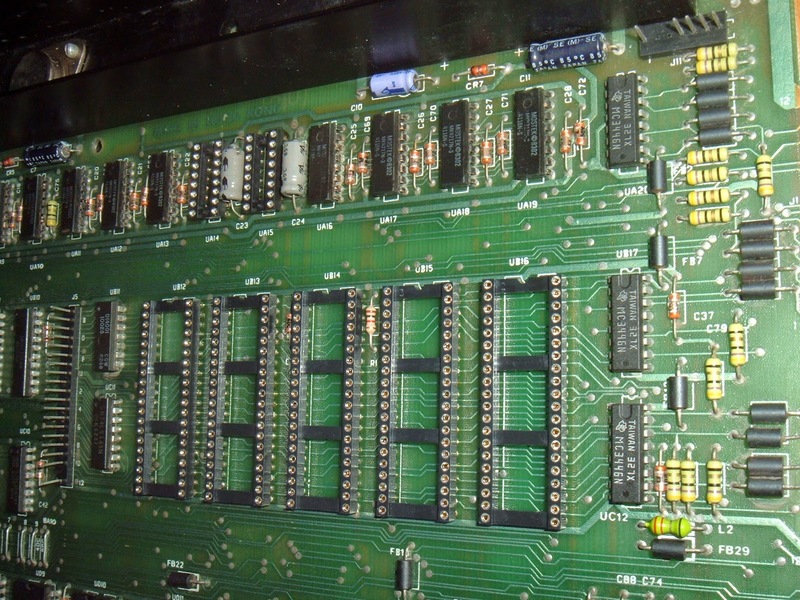 I removed a couple of the RAM chips which were damaged and replaced the red sockets. Next I moved onto the power supply.